Discovery Communications is belatedly climbing aboard the Middle East bandwagon by buying Dubai-based Takhayal Entertainment. The deal includes the media company’s popular food channel Falafeat. Discovery will also get some cooking tips. It said in a news release that the deal will bring it a “vast library of cooking recipes and shows” as well as Takhayal’s production facility. No terms were disclosed. 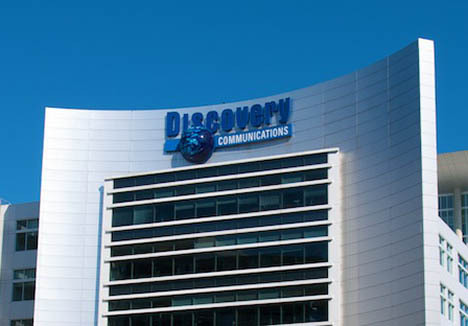 The parties are in final stages of formalizing the transfer, said Takhayal CEO Youssef El-Deeb and Mark Hollinger, CEO of Discovery Networks International. The move is meant to extend Discovery’s portfolio of female-targeted channels, including TLC and Real Time, which are available in more than 150 countries. “The acquisition of Takhayal, the premier company for cuisine and culinary programming in the Middle East, significantly strengthens our portfolio in this important region and adds content in a genre that has proven popular with our viewers around the globe, including on Real Time in Italy and the UK and on TLC in Poland, Latin America and India,” Hollinger said. Launched in 2005, Takhayal Entertainment has offices in Dubai and Cairo and works with a distribution network in 14 countries around the region. Its slogan, “El Hayat Helwa,” means “life is wonderful” and is regularly featured on Fatafeat. Fatafeat broadcasts to about 55 million TV households in the Middle East and North Africa. Discovery already transmits localised versions of some of its channels on the OSN pay-TV platform.